Though summer's on its way out, sunflowers can keep the bright, sunny feeling lasting into the cool Autumn days. We sometimes are asked about the best way to keep your sunflowers looking fresh for longerYou came to the right place! Check out these instructions from our website on how to keep them looking lively. 1) Cut 3cm off the stems and remove leaves that fall below the water line. 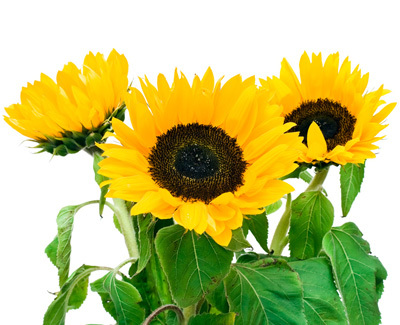 Enjoy your sunflowers, and keep them fresh all fall to bring a burst of sunshine into any room! We sometimes are asked about the best way to keep your sunflowers looking fresh for longer. You came to the right place! Check out these instructions from our website on how to keep them looking lively.